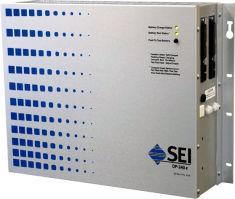 SEI is the leading supplier of uninterruptible power systems and NT1s for Digital Centrex (ISDN) customer premises equipment. All SEI units come fully assembled and ready to mount! 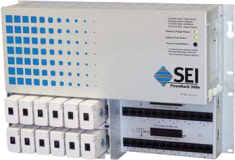 The Only Industry-Standard Network Termination Units. Integrated NT1 caging, DC power, battery backup and cable distribution are pre-assembled. Installation time is virtually eliminated! Available in a variety of models depending on the number of phones, NT1 type and battery backup time required. Field Expandable! 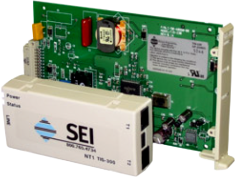 Provides DC power to NT1s and phones in a small footprint with easy installation. Three different models power from 24 to 288 phones. Up to eight hours of holdover time. 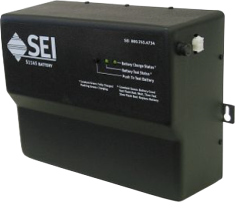 The S1145B battery pack unit is a direct, snap-on replacement for failing legacy AT&T/Lucent 1145s. No rewiring is required. The S1145B monitors battery status to guarantee the holdover time of the battery. Extends battery holdover time for critical applications and replaces failed batteries. DP20Bs power up to three NT1s and six phones with up to four hours of battery holdover time for stand-alone installations. For no battery backup, use the 1215B.